Alma Asay didn't plan to become a legal entrepreneur. But when she looked for a tool that would help her manage information in her litigation practice, she didn't find it. Instead, she found herself building a piece of software called Allegory. Peter Aprile and Natalie Worsfold talk to Alma about what she learned when she quit her job to start a company – and what she would want others to know before they make the same choice. Alma talks about the importance of empathy to a legal practice and why your files should always be organized well before trial appears on the horizon. Alma Asay is the Chief Innovation Officer, Legal Solutions, at Integreon Discovery Solutions, a leading global provider of alternative legal services. At Integreon, Alma focuses on opportunities to improve legal services delivery for both corporations and law firms by applying best modern practices across people, processes, and technology. Before founding Allegory, Alma was a successful litigator at top law firm Gibson, Dunn & Crutcher LLP, winner of The American Lawyer’s biennial “Litigation Department of the Year” competition in 2010, 2012, and 2016. At Gibson Dunn, Alma was the go-to second chair for Orin Snyder, ranked among the top trial lawyers in the country, on complex, high-stakes cases, including for IAC/InterActiveCorp, NBC Universal, Cablevision, and AMC Networks. 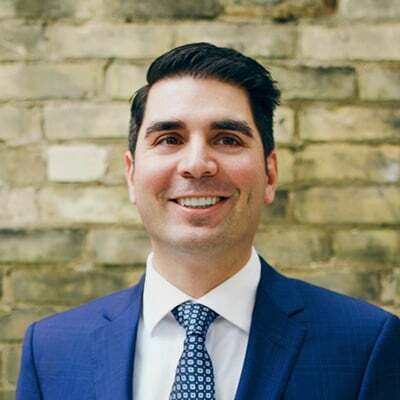 Peter Aprile: [00:08] Hi, and welcome to Building NewLaw, Canada's first and only CPD‑accredited podcast. It's hosted by me, Peter Aprile, and my colleague, Natalie Worsfold. Peter: [00:24] We hope that the podcast connects the NewLaw community, and helps us all learn more about the approaches that are changing the way that we practice law. Natalie: [01:00] We are so excited to interview Alma Asay today. Alma founded a litigation management software business called Allegory, which was acquired by Integreon last year. Alma was a very successful litigator at Gibson Dunn and left in 2012 to start her legal tech career. Peter: [01:20] She was awarded the Legal Rebel Award from the ABA. 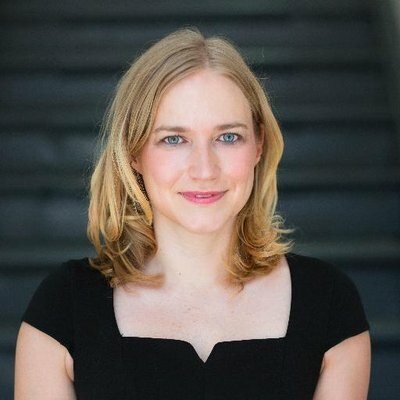 She's part of the Fastcase 50, and she dominates lists of successful women in tech everywhere. Natalie: [01:28] We wanted to talk to Alma to hear more about her journey and hopefully to inspire more people to follow in her footsteps. Here's our interview with Alma. Natalie: [01:36] Alma, thank you so much for being with us today. I was hoping you could start off by telling us a little bit about Allegory. Alma Asay: [01:50] Allegory is a litigation management platform that we initially built out of my experiences being a litigator at Gibson Dunn in New York for six‑and‑a‑half years. And really started building on top of my original ideas based on client feedback and what was important to them. [02:10] So now it's very often used as a way to bring in co‑counsel and corporate clients so that everyone can get into the same space on a secure platform and build the case together. Peter: [02:23] So can you give me the nitty‑gritty? As a litigator, what does it allow me to do? Alma: [02:28] Allegory primarily does two things. The first is it connects all the people, facts, and evidence relating to your case so that if you pull up one piece of information, you can see how that piece of information is connected to the rest of the case. [02:42] So if I pull up a document, I'm not looking at it in isolation. I'm looking at what's important about this document, how has it been used throughout the case as an exhibit, what testimony has been given about it. So I see the full picture right there in front of me. [02:59] And then Allegory also automates everyday litigation tasks, so things like creating binders or creating an order of proof. These are often things that take days, not of lawyering, but just moving pieces of information around. [03:16] So it can take a paralegal days to create a binder of hundreds of documents because they're individually having to pull each of those documents. I'm not going to go into too much of the nitty‑gritty here, but it's a very laborious task unnecessarily. [03:31] And with Allegory, for example, you can just upload a list of Bates pages. And Allegory will automatically create your binder and allow you to export it, including any annotations or [inaudible] references, and etc. that the system has a record of, into a hard copy binder, so you can take a process that usually takes days and boil it down to minutes. Natalie: [03:51] What was the primary problem that you were trying to solve when you first started Allegory? Alma: [04:04] is that too much of my time and my team's time was spent just cataloging information or searching for information. And we were using Excel and processes that made us as efficient as we could be, but it wasn't enough. [04:19] One story that I love as an example of this is we had this Excel spreadsheet of 5,000 key documents. We'd done a great job of getting everything organized, putting the key information about the documents into the spreadsheet so that it was kind of a digest of the case. [04:40] And we were sitting in a meeting with the partner. And we've even gone so far as to link the references in the spreadsheet to the document on the shared drive so that if you wanted to look at an actual document, we could just click the link. [04:52] So we started clicking these links, and the wrong documents were coming up. And it turns out that if you re‑sort an Excel spreadsheet, it breaks all your links. Alma: [05:02] And so we were trying, we were legitimately trying to be more efficient and tech‑forward, and the tools just weren't available. [05:09] And so I wanted to create something that would enable lawyers to be lawyers and paralegals to contribute that next‑level work, rather than spending not all, but too much of our time just trying to get our hands on information. Natalie: [05:26] So we've been researching a lot into how litigators build a case, analyze a case, and all of those kind of things, and build those binders and that giant Excel spreadsheet you're talking about. [05:36] We were really shocked at the lack of formal process and the lack of tools available. Can you speak to that a little bit? Alma: [05:43] That is the reason I created Allegory. Alma: [05:48] It's true. I never set out to be an entrepreneur or have a startup. It really came about out of necessity because when I was looking for a tool or looking for how other litigators handled this type of information, I couldn't find anything. Alma: [06:15] at work. I didn't even know that I had it. And I opened it up. It made my brain explode. I didn't understand it. It wasn't built for non‑tech savvy lawyers like myself. [06:27] And it's interesting that you say you've been doing this research [inaudible] . As we've built out Allegory and brought on engineers, we've had to educate them on the litigation process and the different steps in the process, and what lawyers do and what paralegals do. [06:45] It has been quite incredible to me how much documentation and how much instruction I've had to make up from scratch because there aren't great resources out there. Alma: [07:01] I'm not surprised. Natalie: [07:02] We tried really hard. Natalie: [07:06] It requires a lot of customization to get it where you want it to be. I think that was what we hit. It's not intuitive, not in the same way that when I've played with Allegory, it's much more intuitive. I think, like you said, it's designed for people who think this way, right? Alma: [07:21] Yeah, and that's one of the common complaints that we've heard about CaseMap and one of the things that we tried to get away from, from the early days, is if you ask lawyers to set up a database, then they're not going to use that tool. [07:34] It requires so much effort. And often you have to bring in someone else who's an expert in the tool to set it up, and now there's this disconnect. So we really set out to create a tool where someone could log in, and it's already set out the way that you're going to set up your case. [07:52] You can kind of follow A, B, C, rather than having to come up with the fields and how you're going to format your case. From day one, you can just dive right in. 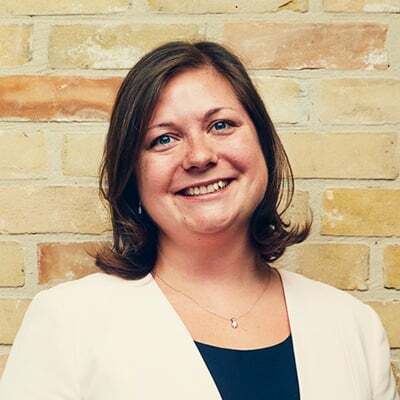 Natalie: [08:03] One thing I always think is really interesting about case management systems, particularly in litigation, is whether or not clients are aware of how terrible the internal process in most law firms is. [08:15] The lack of rigor in the process. Maybe, that's the best way to phrase it. But have you seen any clients asking questions about how law firms are managing their litigation? [08:41] And then clients really stepped in and became aware of the inefficiencies and how fees were just getting out of control. And clients started to pay much more attention and take control over that process. [08:56] I always felt like litigation would be the next wave, so management of the day‑to‑day litigation process. And it took a little longer than I thought it would. [09:06] So admittedly, in the early years, clients didn't seem particularly concerned. And interestingly enough, the lawyers who were most receptive to what we were doing were actually within the law firms. [09:17] But more and more over the past year or two, I have meetings with clients where they will tell me that they've asked their outside counsel how they're managing the case. And I have yet to find a client who has gotten a satisfactory answer in response. Natalie: [09:33] Especially when you think of it like if a client transfers between law firms, they lose so much of that value because everything is kept inside the lawyer's head and all that sort of thing. So if you move law firms, a lot of it is you feel like you're back to square one. [09:47] Whereas if there's a case file that you can take with you, you're not going back to square one. And you've captured some of that value. And you can essentially choose the right provider as you go without suffering as much of a disadvantage at the very least. Alma: [10:00] Absolutely. And that's actually been a sweet spot for us, in terms of getting Allegory into the market. So one particularly salient example is a top‑10 firm approached us. They had just taken over a huge case for a major bank, and they were three months out from trial. [10:20] And the reason that the client had switched firms is that it discovered that firm number one, which was also a top‑10 firm, was simply completely disorganized. The outside counsel originally had assumed that this case would just never go to trial and hadn't paid a lot of attention to making sure that they had a good case file. [10:44] So the client, the bank, switched firms, but the second firm is now three months out from trial, and of course, they're no more organized than the first firm because they're only now getting the materials. And the client didn't want to pay a lot of fees to transfer knowledge, so they were just being dumped with this disorganized case file. And so they contacted us. [11:05] In this case, we didn't only provide the software, we also took in that disastrous case file and got it organized and up into Allegory, the same way it would have been if they'd used Allegory from day one. And so within two weeks, we were able to deliver to them a fully built‑out Allegory site with all of the materials from firm one. [11:26] When they were learning the case and preparing for trial at the same time, they were able to get that benefit of not just looking at a document and then having to go hunt for other references to it to see everything at a glance in front of them. And this helped them tremendously as they were very quickly approaching trial. Natalie: [11:46] I can only imagine. That must have been a huge help having someone, especially I didn't realize that your team was also taking cases and putting them into Allegory like that. That's a great service as well. Alma: [11:57] Yeah, and it's totally optional. As I mentioned, we built Allegory to be self‑sufficient. We wanted lawyers to be able to add materials or access materials at 3:00 AM on a Sunday on their own if they wanted. [12:08] But for a lot of these cases, especially when we're bringing on a client for the first time, people too often don't think that they need a case management tool on day one. Very often they say, "Oh well, you know, this probably isn't even going to go to trial." or "It's sitting in a motion to dismiss." And as much as we try to encourage them, it doesn't always work. [12:27] The moment when they really realize that they need a tool or needed a tool is often right before depositions, right before summary judgment, or right before trial when they can't find anything. We realized that it would be a great service to be able to get these cases up to speed because at that point people just feel too overwhelmed to go back. [12:48] Because technology's built around a process and because Allegory is standardized, we were able to figure out how long on average it took us to do any of these services. [12:59] And so we not only will provide the service, but we'll do it at flat rates based on the information so that we can tell the client to the penny how much it'll cost them to get a case up to speed based on the amount of kinds of information they have. Peter: [13:12] It's amazing to me and kind of a sad state that people, that lawyers believe that unless something is going to trial, the file does not need to be organized. [13:23] I don't know what litigator worth his or her salt would think that the only time I need to have my file meticulously organized is at the time of trial, arguably for settlement purposes and when you're trying to persuade another party that the result at trial would be something different than the other party assumes that it would be. [13:40] It's, at least, equally important to have that trial, to have that file, excuse me, perfectly organized at that time so that when you need document x, you know exactly where it is. Alma: [13:49] Absolutely. There's so many things that come up in the course of the litigation where it behooves the trial team or case team to have information at their fingertips. [13:58] There'll be hearings that come up out of the blue because closing counsel suddenly decided that they wanted to argue something or the judge...It can be as simple as a client asking for a copy of a document or asking for testimony that their executive has given in a case that your firm handled before. [14:17] It's really frustrating to see how much room there is still for improvement in litigation teams managing their information throughout the course. And I get so frustrated at all the times that I hear what you just said, which is, "Well, this case probably isn't going to trial, so we're all good." I just want to scream, no. Alma: [14:42] There's so many other reasons why you need information organized. Peter: [14:47] The thing that doesn't get said much is some litigators are banking on that. So in our cases we do appeals. Even if the appeal does not go to trial, even if the matter doesn't go to appeal, the question then becomes so how does that impact the result. [15:04] If I am disorganized and have little, if any, intention to go to trial and use that as support for the fact that my cases or my file is a mess, what real world impact does that have on settlements, not only on trial, but on the quantum of the settlement itself? Alma: [15:21] It has a huge impact. Clients often too late do realize that their outside counsel isn't as prepared as they need to be, And, of course, that lays on them whether they should go to trial or whether they feel like they'll be successful at trial. [15:39] Very often the winning theories or beta events connects to win a case appear in the details. They're not on the surface. It's not sitting in a handful of documents. It's actually in the way that testimony, and documents, and pieces of documents all connect together. [15:58] If you don't have the information organized in a way where you can look at those details cohesively, then it's very hard to put together a compelling argument, like you said, before you even get to trial whether it's settlement, or preliminary hearings, or even just discussing the case with your client. Natalie: [16:19] I just want to rewind a little bit. I'm trying to picture you feeling all of these frustrations when you're working as a litigator. And I just want to get a sense of so you make the decision that you're going to build this. What did you do next? Peter: [16:32] How did she make the jump? Natalie: [16:33] Yeah. What was your first step towards building this company? Alma: [16:38] I didn't have any idea what I was getting myself into. I'd met some engineers through a friend. They got excited about it. I was excited about it. I knew nothing about software development. We decided we were going to build a prototype, decided we've got to quit, got to get going. I left the firm, and honestly, I just sat around for a while. [17:00] Because I originally thought, "Oh, I'll be working with the engineers every day. I'll go down and sit with them." And that's not really how they worked. There were a lot of issues I now realize with that initial development team and things that I would do differently and, hopefully, better if I were to ever do this again. [17:18] But in truth, that first year was a lot of just figuring things out the hard way. And then there were points at which I thought, "OK, well clearly this isn't going to work. It isn't going to happen." [17:30] And my original plan to take some time off from work was that I was going to travel and do volunteer work. So the way I kept myself sane was that I kept going back to South Africa to do volunteer programs during that first year whenever things would hit the skids and it didn't seem fixable. [17:49] Then I'd clear my head, come back, give it another go. That first year‑and‑a‑half was very, very messy. Peter: [18:00] What did you do to derisk the situation? Like you're making this leap, which is a significant leap, did you do anything to limit the possibility of failure, or I'm going to assume the financial constraints in stepping out in this way? Peter: [18:16] [laughs] Well done. Alma: [18:20] I was very naive. I didn't know what I was getting myself into. I knew nothing about startups, or entrepreneurship, or building technology. I just kind of dove in. [18:30] Now I got very fortunate because the last case that I was on that I had stayed at the firm hoping that I could see it through, but ultimately it was sitting on appeal of an issue and didn't seem to be moving forward. So I left. And then right before I left, the decision came down on the appeal. This case started moving forward again. [18:52] So about two months after I left, my old firm approached me and asked if the client could hire me directly to come work for them. So the client paid far less for my services. But I made a lot more during that time. So it was only about six months until the case went to trial. [19:10] But the money I made during that period is the only reason ultimately that I was able to go forward with Allegory. And that was completely unintentional. Natalie: [19:21] I love that story, like that's a great way of looking at it. I think, maybe, that does speak to derisking it a little bit because I think I've heard you talk before about how if everything goes horribly wrong with the legal tech product you're trying to build, you can always go back to being a lawyer. Alma: [19:37] Yeah. And I guess I should point that out, that I knew when I left Gibson Dunn, they were very kind in saying that they would love to have me back if my new venture didn't work out. They probably knew more about what I was getting myself into than I did at the time. [19:53] But more generally, I felt so fortunate as an entrepreneur to know that I had this incredible safety net and that whatever money I lost in the process I could look at paying to the school of life, that I was learning more by doing this than I would ever learn by going and getting some advanced degree. [20:15] And that at the end of the day, I could always go back to being a lawyer. And I would be a better lawyer for having had this experience on the business side and that I could make the money back. Natalie: [20:24] Tell us about some of the highlights that you've experienced over the last few years. Alma: [20:28] The top two highlights would be the things that I've learned and the people that I've met. [20:35] I could not be more grateful for the people along the way who, for whatever reason, having just met me decided to either join my team, or help us in some way, or invest. There were often times when I would sit back and just wonder why people were being so helpful when there was nothing that I could give them. [20:59] And now being on the other side of that, I'm often working with new entrepreneurs and taking time to walk through things with them. And they say things to me like, "You know, you're being so helpful, and you don't need to be." And it's really a funny feeling for me because now I get it. [21:20] Now I understand why people five years ago were helping me without anything in return. It's just this pay it forward mentality. [21:28] Then in terms of the things that I've learned, I can't imagine a scenario where you learn as much as quickly about yourself, about people, about sales, about design, about business. You have to learn it all. And I didn't have to learn how to code. But I did have to learn how technology works and how to communicate with engineers. [21:55] And so those are the highlights for me. It's not any single moment. It's really just what I've learned and the people I've met along the way. Peter: [22:02] What was the most surprising thing or unexpected thing you learned about yourself? Alma: [22:08] The most unexpected thing that I learned about myself was that it was OK to let go. I worked hard from the time I was little. I got a job as soon as I could get a job. I raced through school, became a lawyer where, of course, [laughs] lawyers are perfectionists. They work very hard. [22:29] I was always so focused on working hard that, although I traveled and I did try to experience life, we do have this Type A mentality where you're trying to stay on top of everything. And as an entrepreneur, you just can't do that. As Monica Bay puts it and others, "Perfect is the enemy of done." [22:52] And learning to let go and learning to trust people, I think that was the most unexpected thing that I learned about myself. And just one of the many ways [laughs] that I changed a great deal throughout this process for the better. Peter: [23:08] And you were obviously meticulous as a lawyer or else you wouldn't kind of stumbled upon or been pulled in the direction that you're currently being pulled, to be even better when you are working with those Excel spreadsheets, and then got on this path of building out this product. [23:28] Let's not assume that Allegory fails. Let's assume that it continues on this wonderful path to success. But for some reason, you're drawn back to be a lawyer. [23:39] If you went back to be a lawyer now, even with that heightened sensitivity in terms of being organized and making sure you're on top of everything that you had before you left, what did you learn through this process that would make you an even better lawyer when you go back? [23:54] Like what's the thing that you didn't see that you now see that you're like, "Oh, if I didn't go through this journey, um, I might have continued to kind of develop and all that stuff"? But it's this part of this experience that makes you a better lawyer if you were to go back. Alma: [24:08] There are two things. The first is empathy for the client side, whether that's an individual or corporation. As a lawyer, especially if you haven't worked on the business side, you don't necessarily understand all the pressures that your client is under and how decisions affect them and how their main goal may not be to win the case. [24:33] It may be to achieve a settlement in a shorter period of time to save on legal fees or to meet a particular deadline because they need to get this resolved in this particular year. And I would be much more empathetic to the client generally but also know to ask a lot of questions about the client's goals, not just immediately dive into trying to win the case at all cost. [24:59] The other piece is that I have a much broader understanding of the legal issues that people are facing aside from what big law handles. There's so much power that we have as lawyers. [25:15] And when I worked at a big law firm, we did pro bono projects. But I don't feel like there was a premium placed on understanding the value of our skill set to help people across the United States, across the world, and how there are major problems that people are facing that upend their lives that are really easy for people like us to address and conquer. [25:44] And so I think if I went back to being a lawyer, I would probably work more on the nonprofit side. I see so much power that we can have as lawyers to make a difference in ways that really change individuals' lives rather than going back to a big firm. I just can't imagine I would ever go back to a big firm. Natalie: [26:12] Tell us about what you're doing now. So obviously Allegory was acquired. It was back in...Was it November? Natalie: [26:19] And so how did that change? What are you doing now? Alma: [26:21] I'm now the chief innovation officer for legal solutions at Integreon, which is a major legal services company. [26:29] And so about half my time is spent still working on Allegory, still working with my team, making sure that we're delivering the best service we can to our clients and working with the business development team to spread the word about Allegory. Going to conferences and getting understanding of what technologies we should be incorporating. [26:51] But the other half is broadening that to look at the services that Integreon delivers generally and be out in the marketplace understanding what technologies we could take advantage of, connecting technology providers with the right people within Integreon to see if there are new partnerships and opportunities to be had there. [27:15] You can often now see Integreon partnering with technology providers. And it's something that the CEO, Bob Rowe, believes very much in, taking advantage of new technologies to make sure that we're delivering the best legal services we possibly can in support of our clients. Natalie: [27:35] And so tell me a little bit about what was attractive about working with Integreon? Alma: [27:40] We were in partnership discussions. And we had just signed our partnership contract. And I wasn't even thinking about acquisition. I was busy building my startup and was out on the road fundraising. But Integreon really believed in the vision of Allegory and how bringing technology to bear with their e‑discovery services could be a really powerful force. [28:07] So when they brought it up, I thought it was a natural fit. I thought at that time, "I could take the time to formally shop the company. Um, you know, spend time going in different directions." But it just seemed like the right offer at the right time. And they were willing to move quickly so that it wasn't too much of a distraction in case it ultimately didn't go through. [28:33] And I knew Bob Rowe, I knew Rick Levine, and I knew some of the people that they either had brought on board or were going to bring on board. And I also knew that they were committed to bringing on the entire team and building out Allegory the way that I had envisioned. So it seemed like the right fit. Peter: [28:54] I imagine there are people listening to this, lawyers listening to this, who are thinking, who have a product in mind or an idea. And they're thinking about making the same step that you've taken when you started Allegory. What advice would you have for these lawyers? Alma: [29:10] The best advice I can give is to network, network, network. The more people you meet, the more you will understand about what you're getting yourself into, the more you'll understand about the opportunity, the more you'll be confronted with whether that opportunity is the right opportunity. I can't overstate the value of just getting out there. [29:35] And there are so many more opportunities now than there were just a few years ago to meet other lawyers interested in legal technology. And go to Meetups. Go to conferences. Talk to people within your firm. [29:50] A lot of firms now have chief knowledge officers or chief innovation officers. Start where you are. Don't just dive in. Start where you are. Get to know what your law firm is doing. Be a part of the solution there first. Try some of the technologies that are coming in that too many lawyers aren't paying attention to. [30:10] Because if you can't make yourself into a user, then you're going to have a very hard time turning other people into using whatever product it is that you want to build. Peter: [30:20] It's the age‑old questions. Do you go to the market and see what the market needs and then build that? Or do you build something that you think the market needs based on your needs? And then roll that way. It sounds like you did the latter. Is that accurate? Alma: [30:36] Yes. I did the latter. I now know that you should do the former. Peter: [30:43] Why? You had success. Alma: [30:47] I did, but I got very fortunate along the way. There are a couple moments where it just as easily could have gone the other direction. I think a lot of first‑time entrepreneurs make it work but then know better going forward. [31:02] I see some other legal‑tech companies that, not to say they're having an easy go of it, but they're having an easier go of it because they're doing things the right way. They had an idea based on their own experiences but rather than build the whole thing, and go out, and try to market it, they've built an MVP. [31:27] And now they're either working within law firm incubators so that they have a captive audience to try their product and give feedback, or they've gone out and interviewed hundreds of lawyers to find out what their pain points are and really targeting their solutions at those pain points. [31:43] I'd be shocked if I start another legal‑tech company at all, but I certainly would never do it again without going into the market first and asking tons of questions and even having, at least, five clients basically on board and my allies in this process before I really started to build. Natalie: [32:06] I think that's a great piece of advice. It's something that people overlook and don't pay enough attention to. Obviously, if you have that choice or if you have the patience, I guess, then that's the preferred route. [32:20] Do you have any advice for people who are faced with the decision about growing from revenue or from getting funding. I always thought it was really interesting that you focused on growing Allegory from revenue. And you mentioned earlier that you were just starting to look at raising external funding. Can you speak a little bit about that? Alma: [32:40] Sure. We did raise funding, but it was from small investors, friends and family, ultimately angel investors that I met along the way, people who had had success in the legal industry. So these were people that I'd gotten to know and they'd gotten to know me and our business. [32:57] It's both a blessing and a curse that the legal industry moves so slowly. So you do have a little bit more time to try to build from revenue versus other industries where you've got to take advantage of the market in right that moment, and so you need a ton of money to scale. [33:14] When I seriously started looking at raising institutional funding last fall, it was because we had reached that point where clients, both corporate clients and law firms, were seeing this shift in the market and were looking for litigation management solutions. And I realized that if we really wanted to take advantage of that shift, then we were going to need to scale more quickly. Natalie: [33:37] I think that ties back into your asking questions about pain points and building from that perspective. [33:42] I just wanted to say it's been an absolute pleasure watching your company grow. I've really enjoyed seeing everything that's come up in the news about the sale with Integreon and everything else. Huge congratulations and you should be very, very proud of what you've built. Alma: [33:58] Thank you so much. Peter: [34:00] I'll jump in. You're a real inspiration actually to all of us, people who are either dabbling in legal tech, or in legal tech, or just trying to do things better. So thank you for that. No pressure. Keep on doing it. Peter: [34:14] We look forward to more success from you and from Allegory. Alma: [34:18] Same. Thank you all so much for including me on this podcast. This has been fun. I appreciate it. Peter: [34:23] Thanks so much. Peter: [34:25] I love the fact that she identified a need in litigation, which is something close to our heart and something that drives us, the idea that litigation can be done so, so much better. I love the idea that she was sitting in a law firm with a litigation team, hacking together Excel spreadsheets to find a way to do it better. Even just that alone I love. [35:01] But then, obviously, taking the next step in saying I'm going to make this into something more and building Allegory to me is inspiring. And we say it often, there are very few examples of lawyers trying to do better. And litigators as a subset, there's, from our experience or in our circle at least, there's even fewer litigators trying to do things better like this. [35:28] For both those reasons, she's a real inspiration. Natalie: [35:32] Huge inspiration. So I met Alma at the ABA TECHSHOW in, I think it was 2015. And you and I had been going through discussions about why on earth aren't there products that can do this kind of thing. And we had started using CaseMap. And we'd had all of those difficulties. Peter: [35:50] Just before we went to ABA, right? Natalie: [35:50] Just before we went to ABA. Peter: [35:52] Then we were literally walking around the vendors saying where is the product that we need. Natalie: [35:59] I bumped into her, and we had a chat. And it was just an instantaneous moment where it's like, we're on the same journey. We're trying to solve the same problem. This is fantastic. I've used the product. I love Allegory. I think what they're doing is great. Peter: [36:13] But we don't use it here. Natalie: [36:14] We do not currently have a subscription and use it here. It's still very US focused. So the idea of putting together everything for depositions and things like that. We could adapt it, but at the time it just didn't quite feel right. [36:26] I'd love to take another look and see what they're doing. Especially I've seen like some of the screenshots for the new dashboard that Integreon's launched and all of that. And I think there's some really exciting things that will be coming out of that partnership that they have. She's just an inspiration and absolutely just a wonderful lady to speak with. [36:44] There are a couple of things I found really interesting that I just want to touch on briefly. I really like the fact that Alma was saying if she went back to being a lawyer, she would bring back the idea of empathy and seeing areas where lawyers could have more of an impact on people's lives. [36:58] It's not something I've heard other people really talk about, and I thought it was a really interesting point. Peter: [37:04] It's amazing that a lawyer who steps out and builds a technology product comes back with empathy. The idea of working in the technology sector has given her a heightened awareness to the importance of empathy is interesting. I think that none of us spend enough time doing what Alma was talking about which is actually really sitting there and listening to our clients' needs and goals. [37:30] We've had the discussion before that we always focused on results. We always said what the client wants is us to win. And so we're just going to focus exclusively on these specific things that are going to lead to a win. And everything else was extra. [37:49] We've come to learn that we're wrong. And Alma's story is another reminder of how wrong we were. And I think even though we've made some progress in that regard, there's still a lot more that we could do. Natalie: [38:05] Also, it speaks to the value in gaining experience outside of law, not necessarily quitting your job and going and starting [laughs] your own tech company. [38:13] But keeping in mind as you go through, perhaps, earlier university and then through law school, the real importance of seeing other industries, understanding how the world works, and then bringing that back to law rather than just staying in the legal bubble forever. Peter: [38:32] We're a long way from law school. How do we do that now? We're fully engaged in our practice. I wonder how we as lawyers can get some more of that in our day‑to‑day. Is that just hobbies? Is that just reading? How can we weave that into our practices? Natalie: [38:52] I'd almost go the community route with it. So I spend a lot of time at the Legal Innovation Zone or something and seeing what people are going through in building these products. I appreciate that's still legal, but the focus is more on these people are building businesses and things like that. [39:08] If you could find what are your clients' communities, like go and understand a little bit more about what your client has built and what they do to share ideas with other people in their community. That sort of exposure gets you not only a better relationship with your clients and your client base but also extra perspective that then helps you be a better lawyer. Peter: [39:33] I'm just thinking it has to be woven into your life in some way. It can't feel like a task. You can't say to yourself, "I'm going to learn how to be more empathetic or have a heightened awareness of..." It can't. Natalie: [39:48] You don't set out for that. You set out to understand an industry or a part of an industry that you're less familiar with. Peter: [39:55] The people you're serving. Natalie: [39:56] Yeah. Empathy comes from exposure, and perspective, and things like that. You don't necessarily set out to learn empathy, but you set out to broaden your horizons and just take yourself out of a bubble and make sure that you see what other people are seeing. Peter: [40:14] Yeah, I'm good with that. 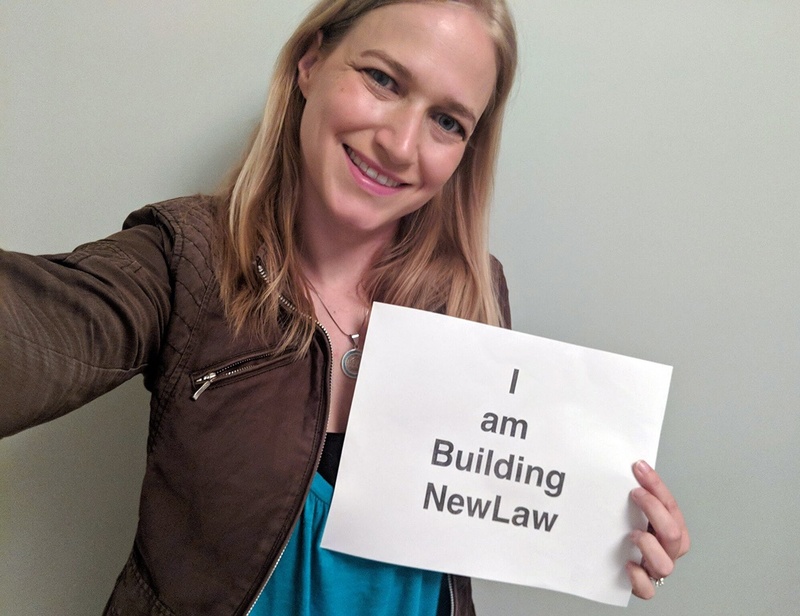 Natalie: [40:16] For this episode's show notes and transcript and how to satisfy your law society CPD requirements, please visit our website at buildingnewlaw.ca. [40:32] We'd love to hear from you. And if you have any feedback, feel free to send an email to info@buildingnewlaw.ca or come and find us on Twitter at Building NewLaw. Don't forget to subscribe on iTunes, our website, or wherever else you get your podcasts. Peter: [40:45] Thanks for listening to the Building NewLaw podcast, brought to you by Counter Tax Lawyers. To learn more about Counter, go to countertax.ca. Lawyers that have completed the S03E07 BNL CPD cam claim a 35 minute Professionalism CPD credit. To access the S03E07 verification examination click this link.